Greeting cards folded to fit C6 Australia Post envelopes measuring 114mm x 162mm. The aluminium plate size available for these activities will be 9cm x 10cm. Participants are encouraged to supply their own ideas, drawings, or images that could be useful for their intended prints, and rubber gloves. Judith Rosenberg has a B.A. in Fine Arts from Leeds College of Art (UK) majoring in painting with printing as an elective. In 1989, she started printmaking at Studio One, Canberra, and found that etching was the medium closest to her daily drawing practice and to her heart. 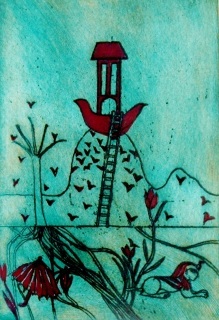 She has since made printmaking her main arts practice. Since 1989, she has had over 20 solo print exhibitions and participated in many more. 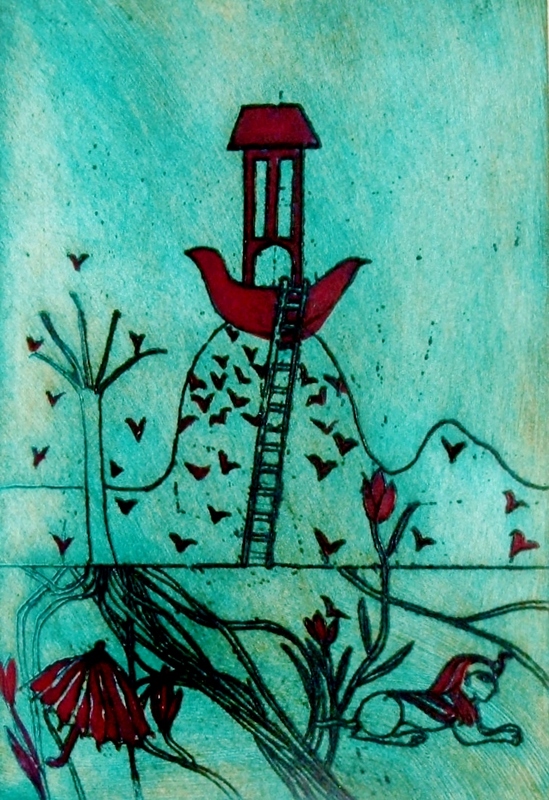 Over the last decade she has facilitated 10 print (etching) workshops. These were mainly through regional galleries in Queensland, which have produced many interesting works and been a lot of fun. Starting printing the first plate.